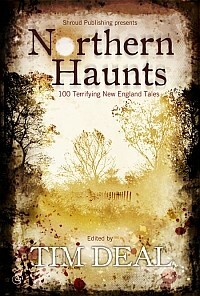 Northern Haunts is much more than an anthology. It is an indispensable guidebook for your journey through the shadowy New England otherworld. 100 original tales of ghosts, creatures, mad men, and other horrifying mysteries. Each story is told in the first person so that you can employ NORTHERN HAUNTS as a fireside ghost story reference book. It is designed for you to customize these treacherous tales in order to tantalize your friends and terrify your family.